On receiving threat calls, calling Paresh Rawal a 3.00 am friend and more: Director Rahul Dholakia Gets Candid! 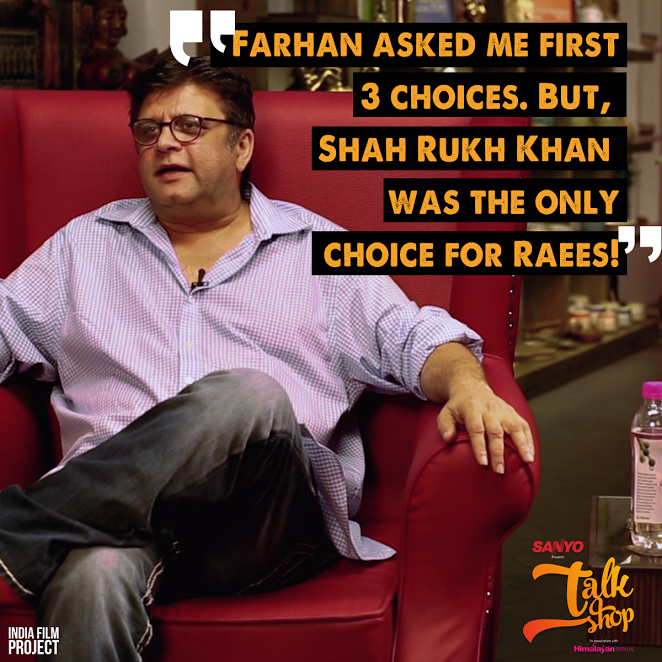 The first episode of Talk Shop is out where director Rahul Dholakia, spills the beans about his journey from running a dance competition in USA to making the blockbuster film Raees, his encounter with terrorists while researching for film, his story of how he ended up working with some of the stars since his first film and much more – packed in a 30 minute episode. The show also featuring interesting segments like Build a Scene, Getting Real, In a Jiffy and On the Rocks. About Talk Shop: In an endeavor to explore the real heroes of cinema, or as we say – the heroes who make heroes, India Film Project brings to you all new directors only talk show with some of the best film directors of the country. Titled the “Talk Shop”, it is an India Film Project which is Asia’s largest filmmaking community. The first season will entail guests such as Sujoy Ghosh, Abhishek Chaubey, Shakun Batra, Tigmanshu Dhulia, Rahul Dholakia, Ram Madhvani, Shashank Khaitan, TVF for which shooting is completed and Ashutosh Gowariker, Dibakar Banerjee, Hansal Mehta and Vikramaditya Motwane for which shooting will commence soon. The purpose of Talk Shop is to introduce these directors to masses. Usually, a film director only comes in front of the camera during their film promotions. As we put it – we don’t get stars, we get star makers. Not only will each episode include casual, fun conversation, but it will also be rich in knowledge about what goes on behind the scenes of a movie as well as the process of its creation. Time: every Friday at 4.00 pm. Raees vs Kaabil: Clash of the Titans?